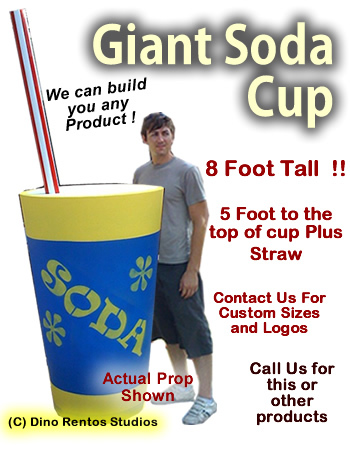 Giant/Big Soda Cup Prop - Dino Rentos Studios, INC.
A total of 8 foot high to tip of straw. Get your prop plastic coated for added protection. The plastic coated is ideal for repeated use of the prop.